SPRING is finally moving into the region and this is going to kick start our Bull Trout and Steelhead fly fishing on the lovely Squamish river. This amazing beautiful river lies 50-60 minutes north of downtown Vancouver, BC. We are going to get temps up to 70 F(22 C) for early next week so we are really looking forward to some excellent opportunities to pull lips on some Bull trout in the 20 - 24" range, possibly bigger. All our guided fly fishing trips include all high end equipment, waders, boots. And we only use our own hand tied flies that are the best available. Our full service trips include pickup from any Vancouver hotel and plenty of organic food to fuel your day. 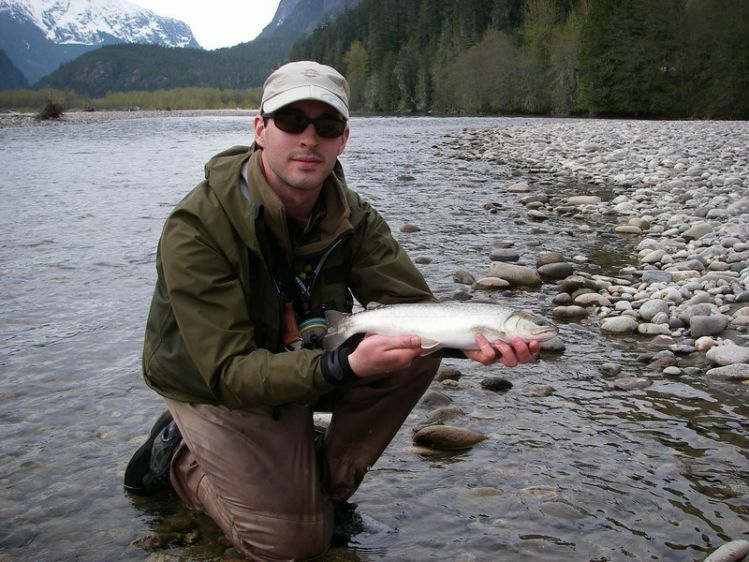 Peak season for spring Bulls and Steelhead is March 15 to April 30. See you soon!